Interviews are by invitation only and are held late October through January. It is important to submit all of the documentation listed above as early as possible. Applications received after the Nov. 1 deadline may not be considered. 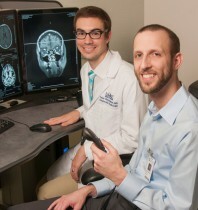 Applicants interested in the UMKC radiology residency program should sign up for the NRMP match service, as well as the ERAS computer-based application system. Applications outside of these national residency application service systems are discouraged. 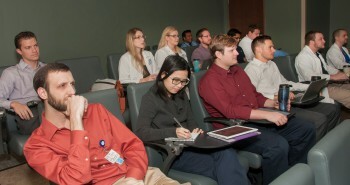 Additional application materials include a Dean’s letter from the applicant’s medical school, official medical school transcript, national standardized board examination scores and a minimum of two recommendation letters from faculty members familiar with the applicant’s character and talents. Applicants involved in the national couple’s match are welcomed. The program director will review the compiled application materials. Interviews will be granted by invitation after preliminary selection. The applicants will be assessed with regard to academic excellence, leadership skills, research experience, and character, regardless of race, color, ethnic origin, handicap or age, as required by law. The education committee will generate a ranked list of candidates in late Jan. or early Feb. for the match, in accordance with NRMP guidelines. 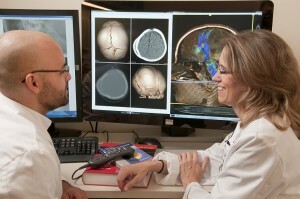 Typically, six positions are available per year for the five-year integrated UMKC radiology training program. 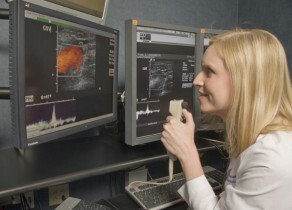 Per UMKC SOM policy, we will not interview, rank or accept H1B applicants in the UMKC diagnostic radiology residency program.